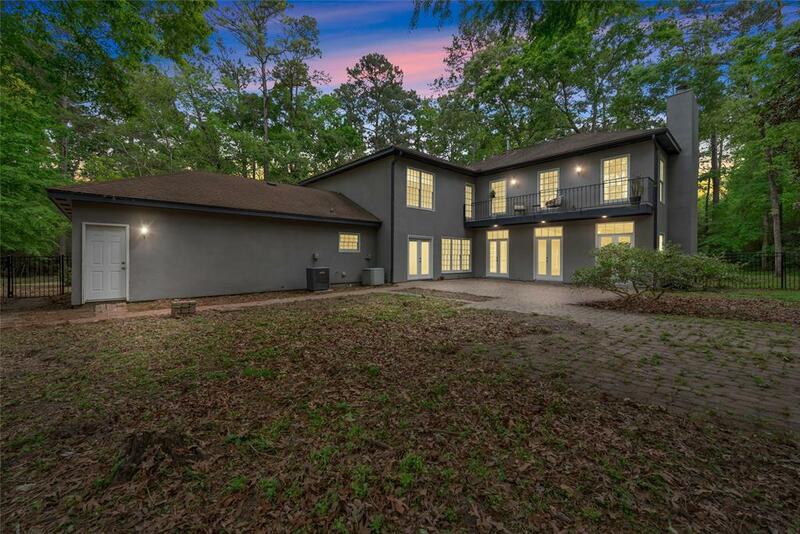 Beautiful bright and airy home on 4.14 private unrestricted acres in Conroe. 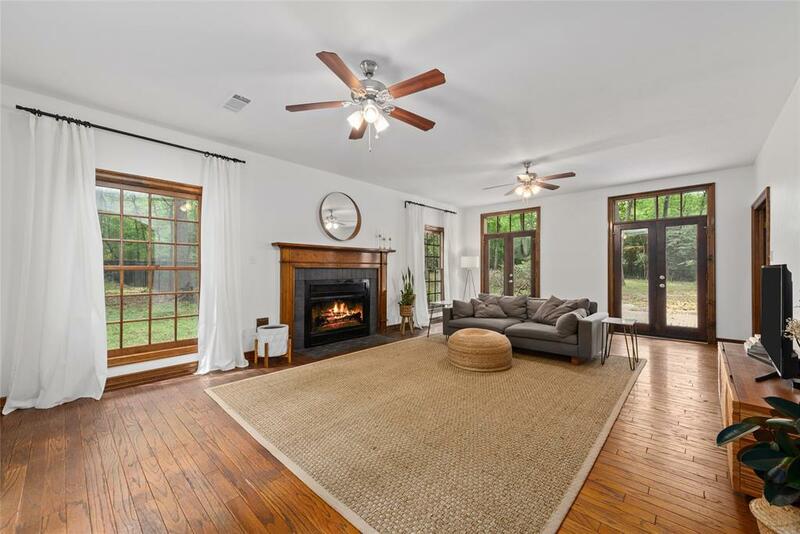 Home has a large formal dining room and family room with a fireplace. 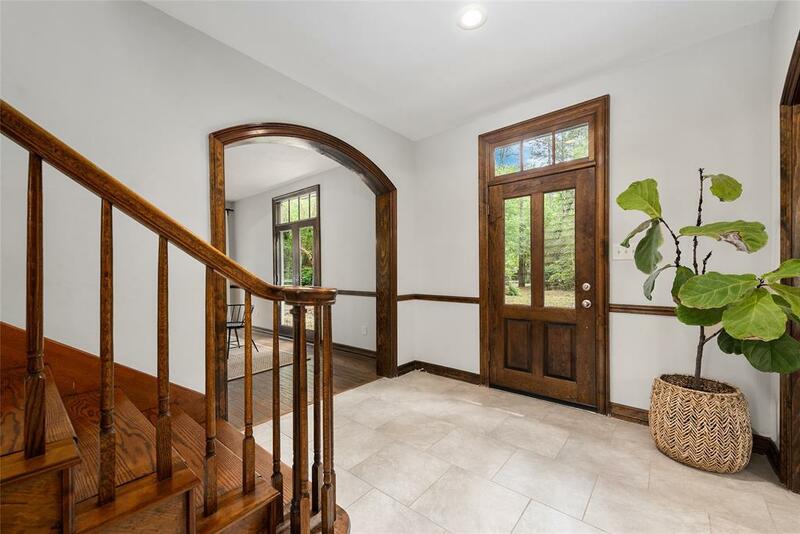 The amazing home offers a cooktop island, granite counter tops, glass cabinet fronts, chef's desk, butler's pantry, a huge walk in pantry, large downstairs utility room with cabinets that connect with both the garage and and workshop, hardwood and tile flooring throughout. The upstairs master suite , with a cozy fireplace and bathroom with a huge soaking tub and separate shower. This home also has a guest house! 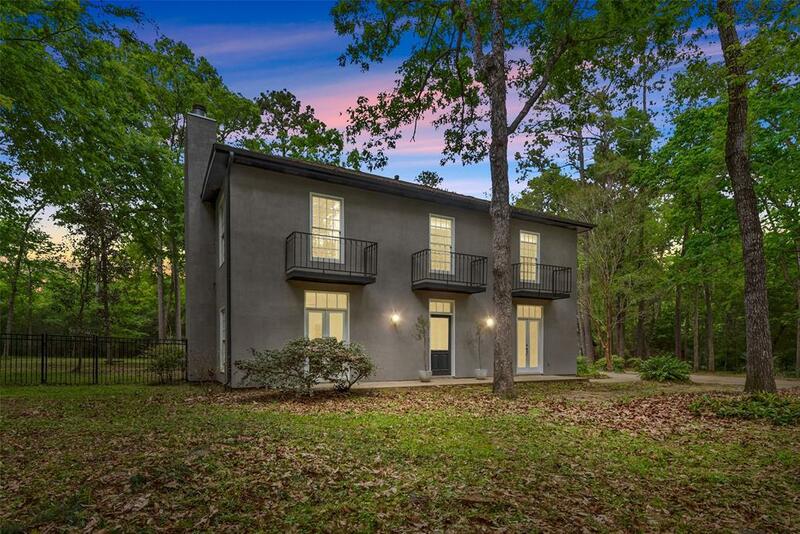 Enjoy the wildlife, plants and trees, and you are just minutes from the amenities of Conroe.